Whether you know the position as paralegal or legal assistant, the ability to perform substantive legal functions is a growing specialty. This field is in high demand according to the Bureau of Labor Statistics, and will continue to grow until 2018. The biggest contributing factor for this is simple economics: paralegals are less expensive to keep full time on a the payroll than an attorney and can perform a great deal of the same tasks. In Michigan, the averaged annual salary for a paralegal was $23.00 and hour or $51,000 a year in 2010. Rule 2.626 Attorney Fees. 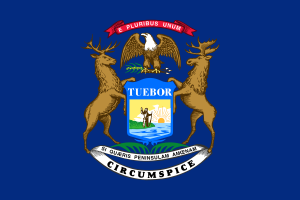 An award of attorney fees may include an award for the time and labor of any legal assistant who contributed nonclerical, legal support under the supervision of an attorney, provided the legal assistant meets the criteria set forth in Article 1, Section 6 of the Bylaws of the State Bar of Michigan. Where legal assistants are allowed to draw up documents, interpret legal documents, speak to witnesses and clients, perform research for trials and many more things a lawyer can do, they are not permitted to represent a client in legal trial, give legal advice, or call themselves an attorney. They cannot set legal fees or accept clients. However, they are paid for their time like an attorney – billing a client per hour – which makes the position of paralegal one that generates revenue rather than costs it. A paralegal is expected to be polite, courteous, professional, and a self-motivator. Still, they work directly under the supervision of a practicing attorney who is ultimately responsible for the professional actions and ethics of their assistant. As is the case with most other states, Michigan does not define educational parameters for paralegals; in other words, anyone can become a paraprofessional as long as they are hired in that capacity. Employers, on the other hand, may have preferences and reserve employment for those best qualified, and that means those who have formal education and training rather than gaining such on-the-job. The field is expanding but so are those looking to enter it, leaving firms and government contractors or businesses in the position to pick and choose the best candidates. A degree or certificate in legal studies or criminal law can give the applicant a much needed edge over the competition. A degree can be gained by attending a two-year school, public or private, and completing an Associate’s Degree designed to prepare the student for the rigors of paralegal. Conversely, one can also complete a Bachelor’s Degree, or four year, program in the same through an Associate’s Degree transfer or dedicated initial enrollment. It is also an option to undertake course-specific schooling to become a paralegal if you hold Bachelor’s degree (and in some cases an Associate’s Degree) in any other discipline. A Post-BA certification usually takes a year, while an AS degree takes about two years to complete. If a paralegal has no formal training but is already hired, she or he can still obtain certification through online or evening courses. While not mandatory, an education is highly recommended and allows the degree holder to enter with a higher salary, possibly better benefits, and greater opportunity for advancement. Certificated and certified paralegal are two different things. Each exam comes with its own requirements and includes requisites for those who do not have formal training, so please see the chart. It is not required, but strongly suggested, that any paralegal program entered into is ABA approved. This means the American Bar Association has determined the course load meets their rigorous demands. ABA approval is looked on as beneficial and the pinnacle of educational achievement. Michigan boasts a high number of ABA approved schools. Baker College of Auburn Hills in Auburn Hills is a private college offering an Associate of Business Degree and a Bachelor of Science Degree in Legal Studies. Generally, an Associate’s Degree takes two years to complete and a Bachelor’s degree runs four years. Internship demands are unknown. Baker College of Clinton Township in Clinton Township is a private school offering an Associate of Business Degree. Internship demands are unknown. Madonna University in Livonia (and additional campus of Macomb University Center in Clinton Township) is a private school offering an Associate in Science degree (AS), a Bachelor of Science degree (BS), Post-Baccalaureate Certificate, and a Post-BSN Nurse Paralegal Certificate. The Post Certifications are about a year in length each while the AS would be two years and the BS would take four. Internships are mandatory. Davenport University in Grand Rapids is an establishment offering an Associate’s and Baccalaureate’s degree in Paralegal Studies. It also offer a Post-BA Certification. Grand Valley State University in Grand Rapids is a four year institute extending a BS in Legal Studies. Internships are required for degree completion. Eastern Michigan University in Ypsilanti has both the initial Bachelor of Science and Secondary Bachelor’s Degrees in Paralegal Studies available. The initial BS is a 124 credit hour course. Many AA/AS degrees from a community college can transfer here. It is unique in its offering of an attorney-supervised paralegal clinic; the students work inside the Courthouse offering aid to the public in preparing court forms. Ferris State University in Big Rapids offers an Associate’s Degree in Business with legal emphasis. This is a two year program. Henry Ford Community College in Dearborn has an Associate’s in Business Degree for Legal Assistants. This public school program is 2 years in length. Kellogg Community College in Battle Creek offers a Paralegal Associate of Applied Science Degree and a Post-Baccalaureate Certificate Program. Generally, this would take two or one years to complete, respectively. Lansing Community College in Lansing is a public, two year school. It offers an Associate in Business degree and a Post-Baccalaureate Certificate. Two regular semesters are required for the Post-Baccalaureate Certificate and four regular semesters (two years, full-time) for the Associate Degree. Macomb Community College in Warren offers a two year, Associate Degree in their Legal Assistant Program. Oakland Community College in Farmington Hills is a two year school offering an Associate in Applied Science Degree or a Post-Baccalaureate Certification in their Paralegal Program. Oakland University in Rochester offer a Certificate program in Paralegal Studies.